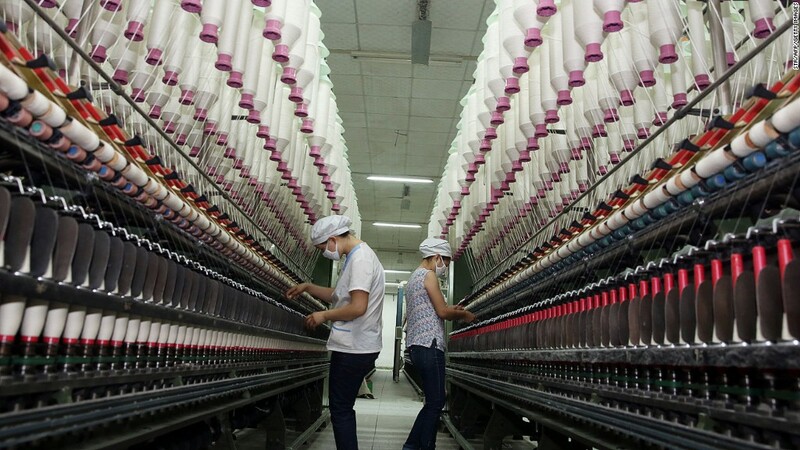 China's factories are picking up steam, adding to signs of an economic recovery. China's factory activity accelerated more than expected in September, the latest sign of a rebound in the world's second-largest economy. HSBC said on Monday that its "flash" measure of sentiment among manufacturing purchasing managers advanced to 51.2, the highest level in six months. The index is an early gauge of the health of the sector, which is seen as a bellwether for China's export-heavy economy. It had fallen below 50 for months, but finally perked up again in August with a final reading of 50.1. Any number over 50 indicates a faster pace of manufacturing activity. China's factories saw "firmer footing" on the back of higher demand, which is expected to remain strong as government stimulus measures continue to boost the economy, said HSBC's China economist Hongbin Qu. Factory activity gaining steam adds "further evidence to China's ongoing growth rebound," Qu said. "This will create more favorable conditions to push forward reforms, which should in turn boost mid- and long-term growth outlooks." The mainland's benchmark Shanghai Composite Index spiked 1% on the news. Markets in Hong Kong, which were closed for the morning after a severe typhoon swept through the city, closed 0.6% weaker. China showed slower growth in the first half of this year, initially sparking worries that it may not meet its 7.5% growth target for the year. Those fears have begun to ease, with the HSBC report adding to a round of positive economic data, including strong industrial output earlier this month. However, some economists are cautioning that the economic recovery may lose momentum after November, when the Chinese government holds a party meeting. Nomura economist Zhiwei Zhang said monetary policy may tighten as the government moves "to shift its focus away from the speed of growth, towards efforts to rebalance the economy and improve the quality of growth."